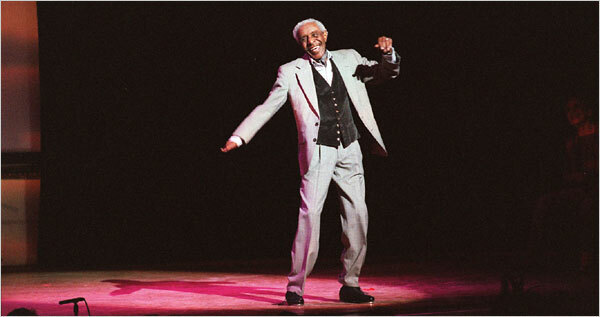 Jimmy Slyde was instrumental in my growth as a tap dancer. He was the one hosting at La Cav the night I first got up to improvise in front of a public audience. He was the one who told me to “dance from your heart.” A moment so pivotal in my life it was the topic of my very first TED talk. He was the one who established the standard of sonic integrity that my ears can still recognize. He was the one who told me that I was a thinking man, so I should keep thinking. He was the one who inspired the first direction of Cats Paying Dues to create 4:30min of red hot dancing (and 2min in reserve, just in case). It was his ideas of improvisation and motion that are cornerstones of my teaching theories and fundamental to the Tap Into Freedom curriculum. And so it is appropriate that today we announced the Tap Into Freedom 2015 Schedule. He would want us to keep learning, digging in, sifting out the truth from the rubble, and giving ourselves a solid laugh while we do it.